^ a b c Geoffrey E. Braswell (2016). “Calakmul”. In Walter R. T. Witschey. Encyclopedia of the Ancient Maya. Rowman & Littlefield. pp. 52-56. ISBN 0759122865. Martin, Simon; Nikolai Grube (2000). 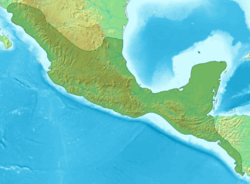 Chronicle of Maya Kings and Queens. Thames and Hudson. ISBN 0500051038.